Patients with Parkinson’s disease (PD) are liable to experience impairment in their activities of daily living (ADL), which include ambulating, eating, dressing, bathing, and personal hygiene. The aim of this study is to assess which clinical characteristics contribute significantly to instrumental ADL (IADL) in PD patients without dementia. We included 106 PD patients in our study, and each patient’s motor and non-motor status and basic and instrumental ADL were assessed using the appropriate scales. Of the 106 PD patients, 31 (29.2%) had abnormal Korean IADL (K-IADL) scores. 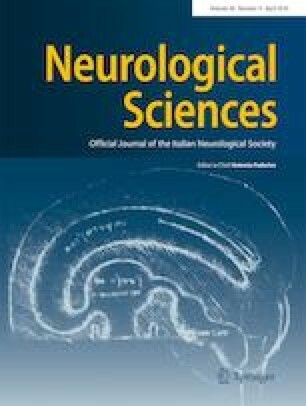 These patients were older and had higher scores in terms of the modified Hoehn and Yahr (mHY) staging scale, Unified Parkinson’s Disease Rating Scale (UPDRS) parts II and III, UPDRS part IV motor fluctuation, Beck Depression Inventory (BDI), and total Non-Motor Symptoms assessment scale for PD (NMSS), as well as lower scores in the Mini-Mental State Examination (MMSE). Pearson’s correlation analysis showed significant associations between the scores of K-IADL and each of the following characteristics of the patients: age, mHY stage, UPDRS parts II and III, UPDRS part IV motor fluctuation, BDI, total NMSS, and MMSE. Multivariate linear regression analysis showed that the significant clinical characteristics associated with the K-IADL scores were determined to be the UPDRS part II, MMSE, and BDI scores. The results of our study revealed that the cognitive, depression, and motor symptoms were the significant predictors of IADL in PD patients without dementia. This work was supported by a grant from the Brain Research Program through the National Research Foundation of Korea, funded by the Ministry of Science, ICT, and Future Planning NRF-2016M3C7A1905469 (to BC Kim). All procedures performed in studies involving human participants were in accordance with the ethical standards of the institutional and/or national research committee and with the 1964 Helsinki declaration and its later amendments or comparable ethical standards. This study was approved by the Institutional Review Board of the hospital, and informed consent was obtained from the study participants.